The Battle of Plattsburgh also known as the Battle of Lake Champlain ended the final invasion of the Northern states during the War of 1812. Fought just prior to the signing of the Treaty of Ghent, the American victory denied the British any leverage to demand exclusive control over the Great Lakes and any territorial gains against the New England states. In 1814 Emperor Napoleon had abdicated the throne of France. This provided England the opportunity to send veteran troops to North America. Governor-General Sir George Prevost now had enough troops to launch an offensive into the U.S. Prevost had about 11,000 regulars with the support of a British fleet under George Downie. In the midst of the peace negotiations between the U.S. and Britain, Prevost wished to gain a significant victory in order to give Britain bargaining power to demand control of the Great Lakes waterway. Prevost chose to move down the Richelieu River to Lake Champlain. Since the Richelieu River was at the time the only waterway connecting Lake Champlain to the ocean, trade on that lake naturally had to be through Canada. General George Izard was the American commander along the Northeast frontier. Just prior to Prevost's invasion, Secretary of War John Armstrong ordered Izard to take the majority of his force, about 4,000 troops, to reinforce Sacket's Harbor. Brigadier General Alexander Macomb was left in command with only 1,500 American regulars at Plattsburg, New York. Thomas Macdonough, who commanded the naval forces on Lake Champlain, had been ordered by Secretary of the Navy William Jones to build a fleet earlier that summer. By the fall of 1814 Macdonough had about 10 gunboats ready for action on the lake. Macomb ordered General Benjamin Mooers to call out the New York militia and appealed to the governor of Vermont for militia. Soon his force numbered over 3,000 regulars and militia. However the militia units were mostly untrained and hundreds more were unfit for duty. Macomb put the militia troops to use digging trenches and building fortifications. He even created an invalid battery on Crab Island that was to be manned by sick or wounded soldiers who were at least fit to fire the cannon. The towns people of Plattsburgh had so little faith in Macomb's efforts to repulse the invasion that by September nearly all 3,000 inhabitants had fled the city. Plattsburgh was left occupied only by the American army. On September 4 Prevost began marching south. Macomb sent forward advance units to fight a delaying action to buy time for the Plattsburgh defenses. At Chazy the advance units first made contact with the British. Slowly falling back the Americans set up road blocks, burned bridges and mislabeled streets to slow down the British. Meanwhile Macomb's forces worked feverishly to complete a series of forts and blockhouses circling Plattsburgh which were essential to his defensive strategy. Prevost reached Plattsburgh on September 6 but he did not attack. Instead he waited for Captain Downie's fleet to reach Plattsburgh Bay. Several gunboats preceded Downie's main fleet into the lake. Captain Daniel Pring, the commander of the gunboats, set up a battery on Isle le Motte which was Vermont territory. 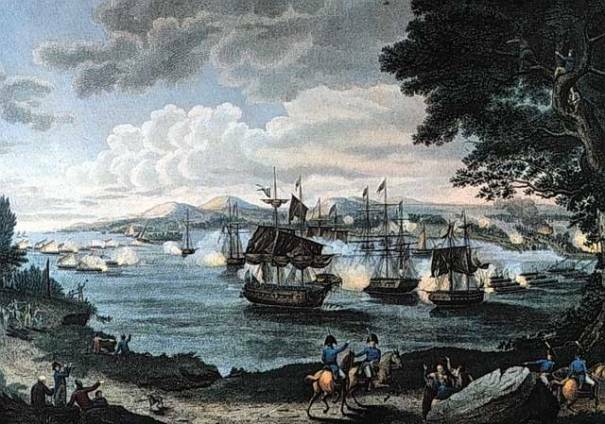 This was the first time a British force had stepped foot onto Vermont soil and now the Vermonters whole heartedly swarmed across the lake to Plattsburg's defenses. MacDonough knew his fleet was outmanned and out gunned. He therefore withdrew into Plattsburgh Bay and used the time waiting to drill his sailors. 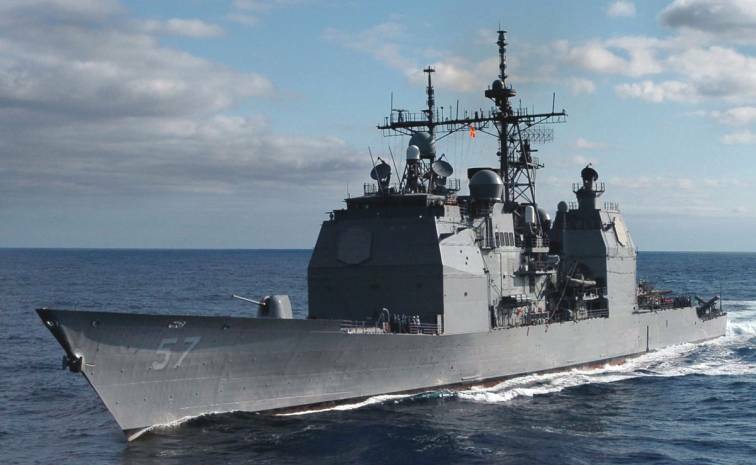 The ships were anchored at the bow and the stern.Finally on September 11 Downie's fleet reached Plattsburgh Bay and at about 9 o'clock in the morning opened fire on MacDonough's fleet. At the same time British land batteries opened fire but Prevost held off the attack. 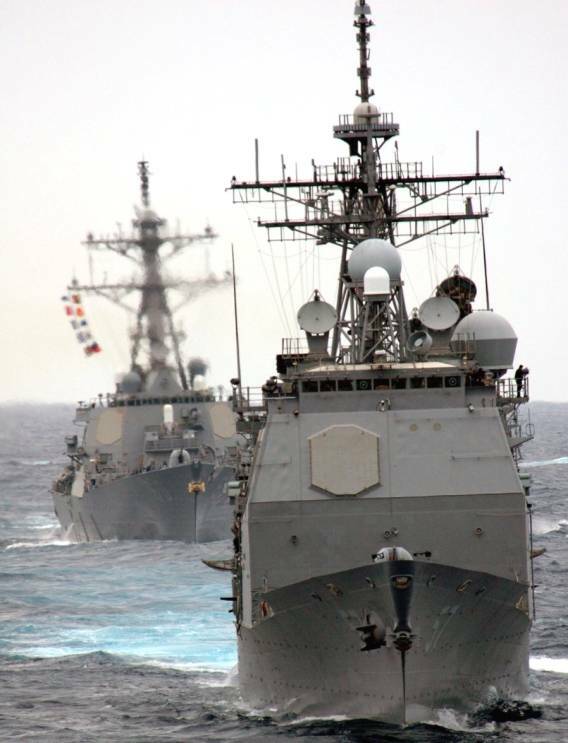 In short time every vessel was engaged in the battle. Shortly after the battle began Downie was killed and MacDonough knocked unconscious but only for a short while. Manned by inexperienced crews, the British fleet had trouble dealing with the winds in the bay. After two hours nearly every vessel had sustained serious damage including both MacDonough's flagship Saratoga and the British flagship Confiance. At this time MacDonough ordered the bow anchors cut and the winds managed to spin Saratoga around. This allowed MacDonough's fleet to present the undamaged ship sides against the British badly damaged side, a new set of cannons and personally taking command of one of the cannon he ordered the unused and undamaged portside guns to open fire. The renewed fire was so devastating that Confiance was unable to return the fire and soon lowered its colors. With most of the British fleet disabled or sinking, the British officers boarded Saratoga to offer their swords to MacDonough. When he saw the officers, MacDonough replied "Gentlemen return your swords to your scabbards, you are worthy of them". When Prevost had reached Plattsburgh on the September 6, he attempted to cross the Saranac River and move in close to the city's defenses. Holding the bridge across the river was a small force of regulars under Major John Ellis Wool. Wool's regulars repulsed each British attempt to cross the river, inflicting heavy losses. On September 7 Prevost abandoned his efforts to cross the river for the time being and instead began constructing batteries. The Americans responded with 'hot-shot', an artillery tactic in which the cannon balls were heated red-hot and quickly fired with the intention to set fire to the target. Macomb succeeded in setting fire to several buildings the British were using as cover and forcing them to withdraw further away. However in the process he did destroy about 16 buildings of Plattsburg. On September 9 a night raid succeeded in destroying a British battery only 500 yards from one of the American fortifications. 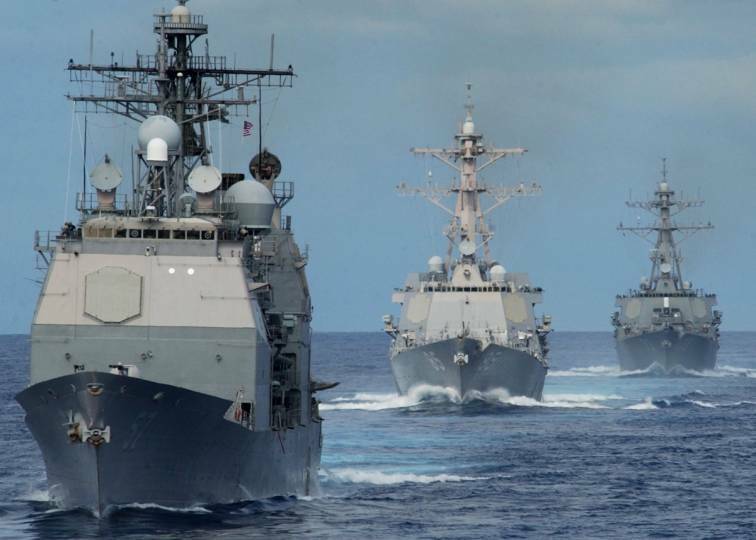 On September 11 Prevost planned to overrun the city and trap the American fleet between the land batteries and Downie's navy. At 9 o'clock when the naval battle begun, Prevost held back his attack on the city. He didn't order his men forward until 11 o'clock when the naval battle was nearly over and Macdonough was ensured of victory. Prevost decided against a frontal assault and instead attempted to cross the Saranac River and flank the city. Again at the Saranac crossing the British were repulsed several times with heavy losses. To the west another British flanking attack made some headway against the American militia. The militia retreated and the British regulars pushed them back so far that the rear of the American lines became threatened. Macomb sent in reinforcements of Vermont militia which helped to stop the British at the Salmon River. At this time, with the land attacks repulsed a messenger arriver and notified Prevost that his navy had been defeated on the lake. Prevost decided to call off any further attacks and ordered a retreat. The Battle of Plattsburgh proved that under capable leadership raw militia units could stand their own against seasoned regulars. Also Prevost had achieved what the U.S. government had been unable to do for the entire war up to that point, and that was to bring the state of Vermont into the war. Alexander Macomb was promoted to Major General and became commanding general of the U.S. army in 1828. Thomas Macdonough was promoted to Commodore and would be remembered as the "Hero of Lake Champlain". The British had used their victories at the Battle of Bladensburg and the Burning of Washington to counter any U.S. demands during the peace negotiations up to this point. Now the Americans were able to use the repulse at Plattsburgh to demand exclusive rights to Lake Champlain and deny the British exclusive rights to the Great Lakes. The victory at Plattsburgh and the victory at the Battle of Baltimore which was to come just a few days later would deny the British any advantage for territorial gains in the Treaty of Ghent. 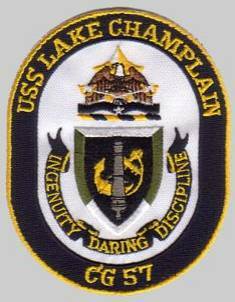 Lake Champlain (CG-57) was laid down 3 March 1986 by Ingalls Shipbuilding, Pascagoula MS; launched 3 April 1987; and commissioned 12 August 1988. 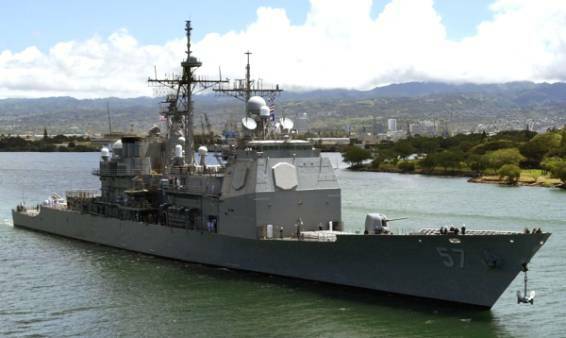 She was assigned to the Pacific Fleet, homeported at San Diego, California. The Lake Champlain departed on a six-month deployment to the Western Pacific and Indian Ocean in 2000. Steaming with the John C. Stennis (CVN-74) battlegroup, Lake Champlain traveled from San Diego through the snowy seas of Korea, around balmy Thailand, and into the arid climate of the Arabian Gulf. 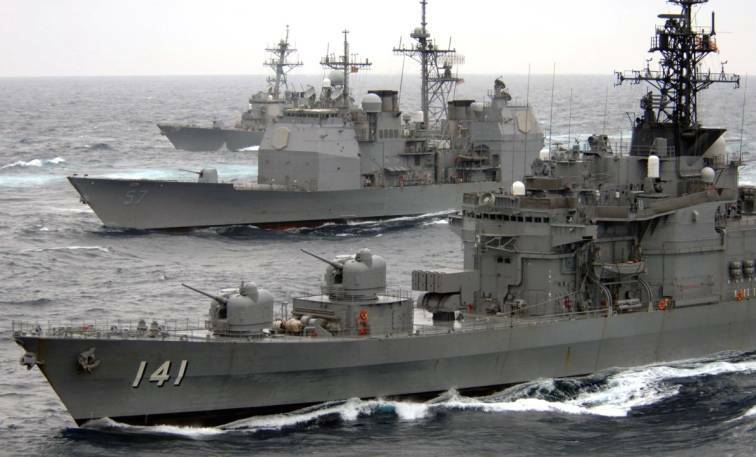 Here the ship participated with international navies in Exercises Neon Falcon and Arabian Gauntlet, and conducted Maritime Interception Operations (MIO) in support of the ongoing United Nations sanctions to stop the flow of illegal oil out of Iraq. 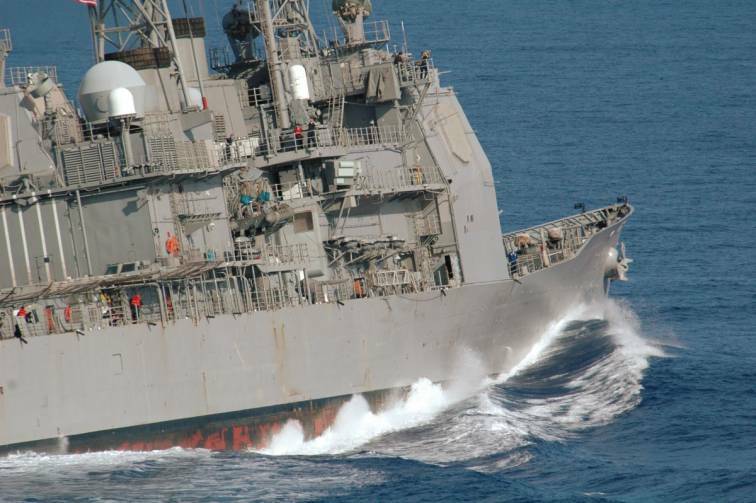 In Neon Falcon and Arabian Gauntlet, Lake Champlain improved interoperability and fostered good will with forces from Europe as well as Arabian Gulf coalition partners. It also conducted tactical maneuvering drills, communications exercises and simulated mine avoidance operations. 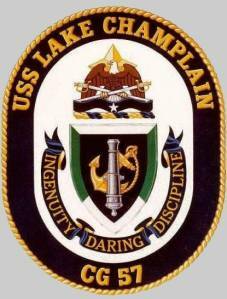 The Lake Champlain took part in June 2001 in Exercise Kernel Blitz (Experimentation), an Extending the Littoral Battlespace Advanced Concept Technology Demonstration. 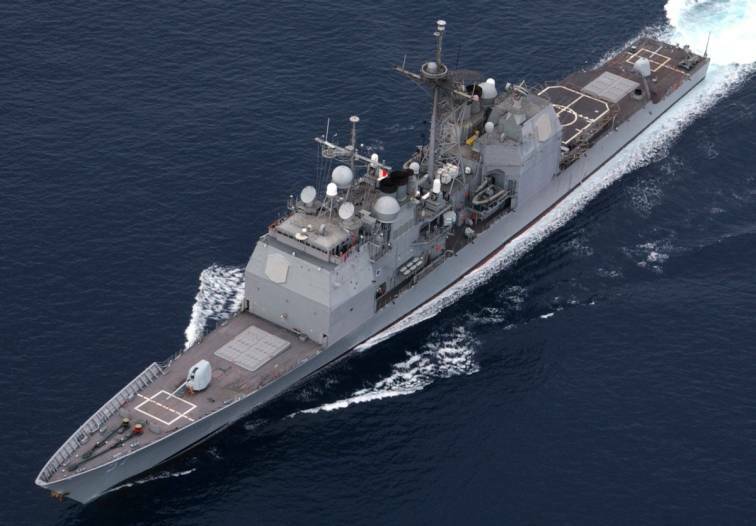 The Lake Champlain deployed for a seven-month WESTPAC/Arabian Gulf deployment in support of Operation Enduring Freedom/Southern Watch, conducting Inspections under Maritime Interception Operations (MIO) in cooperation with coalition ships. 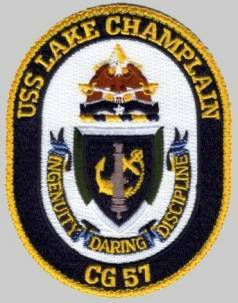 In late May 2004, Lake Champlain joined the John C. Stennis (CVN-74) battle group on deployment. During the Northern Edge air exercise in June 2004, Army UH-60 Blackhawk helicopters from the 4th BN, 123rd Aviation Regiment landed on the cruiser.